Dr. Tonya Driver, a Former Student, considers her role in the department to be reflective of her purpose to validate and advocate on behalf of the perspectives and experiences of others. 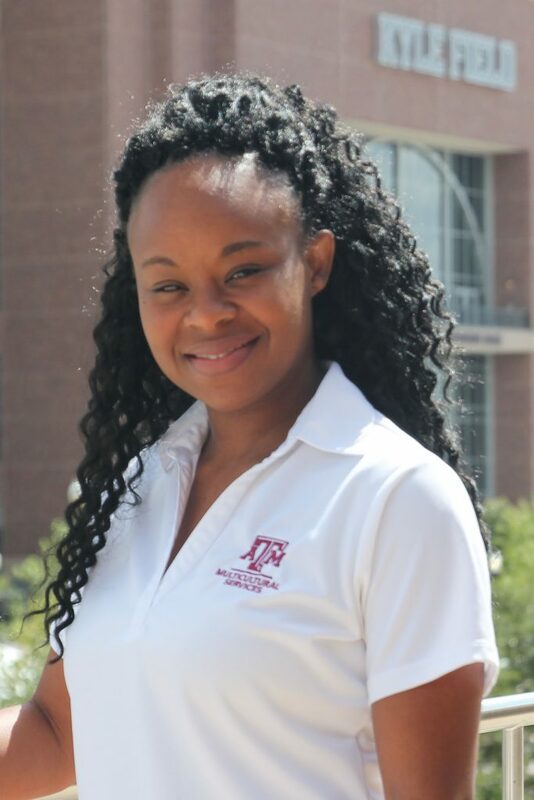 In her over 15 years in Multicultural Services and over 17 years at Texas A&M, Tonya has worked with countless students, student organizations, programs and courses with foci on student retention and success, racial and cultural identity, identity development, diversity consciousness, and pre-college experiences. She serves on the editorial board for national student affairs and leadership publications to contribute to the profession and satisfy her passion for editing scholarly work. 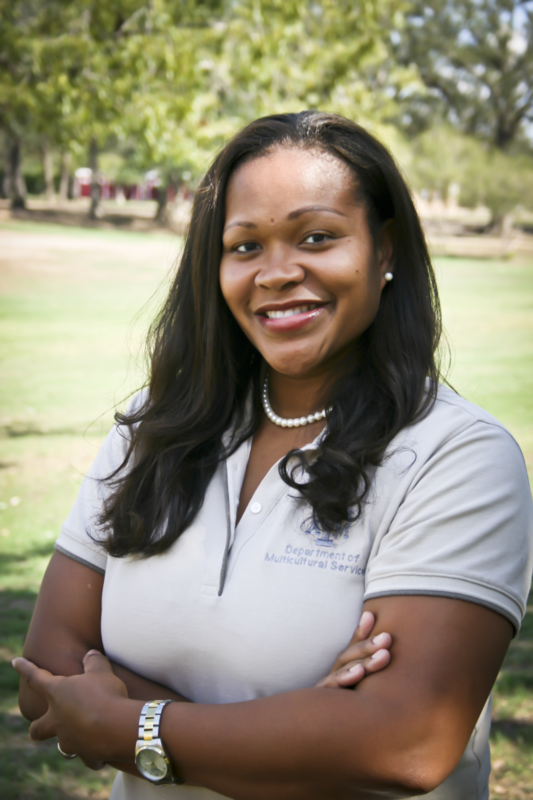 In addition, Tonya taught middle grades in the Houston Independent School District, where she developed her passion for students, facilitating students’ self-discovery, and helping students realize their potential. Tonya completed her doctorate in Adult Education and Human Resource Development in the College of Education and Human Development at Texas A&M. She also holds a Master of Education, focusing on Leadership Education and Studies and Bachelor of Business Administration in Marketing from Texas A&M. I am a meaning-maker and believe the career an individual dedicates themselves to should reflect their purpose in life. My purpose is to validate and advocate on behalf of the perspectives and experiences of others; I fulfill this purpose daily. 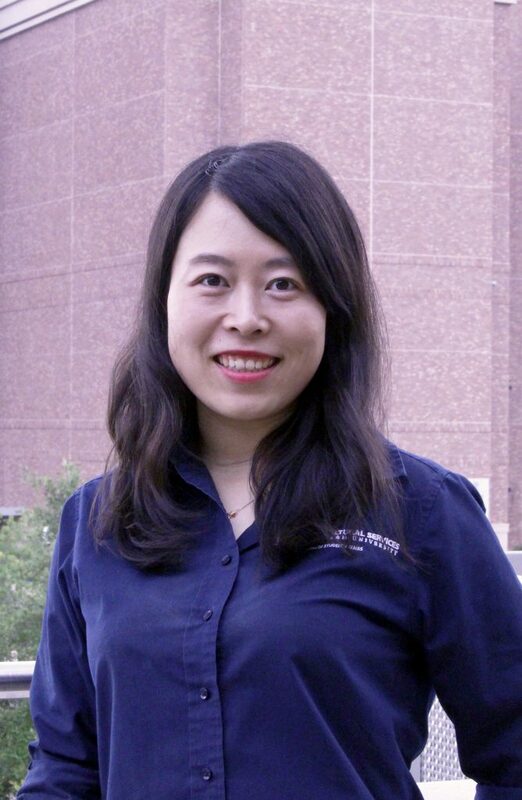 Dr. Huanshu Yuan is currently the Associate Director of the Department of Multicultural Services at Texas A&M University. She oversees the Diversity Education Programs and coordinates assessment plans for the Department. Huanshu is from Beijing, China, where she completed a B.A. degree in English Language and Literature from Beijing International Studies University. Dr. Yuan received a Master’s degree in Bilingual and Multicultural Education from Northern Arizona University and obtained her Ph.D. degree in Multicultural Education at University of Washington-Seattle. Dr. Yuan’s research focuses on multicultural and social justice education, culturally responsive pedagogy, diversity and inclusion, and comparative and international education. Before joining the Aggie family, Dr. Yuan worked as a faculty member at University of Washington-Bothell in the areas of multicultural and bilingual education, second language acquisition, and teacher preparation. She is passionate about student diversity and inclusion and strives to create a diverse and welcoming community of students. Huanshu speaks four languages. In her free time, Huanshu enjoys writing, traveling, hiking, and playing piano. I am very excited to join the DMS family to create detailed maps of multicultural and diversity education for students from diverse backgrounds. 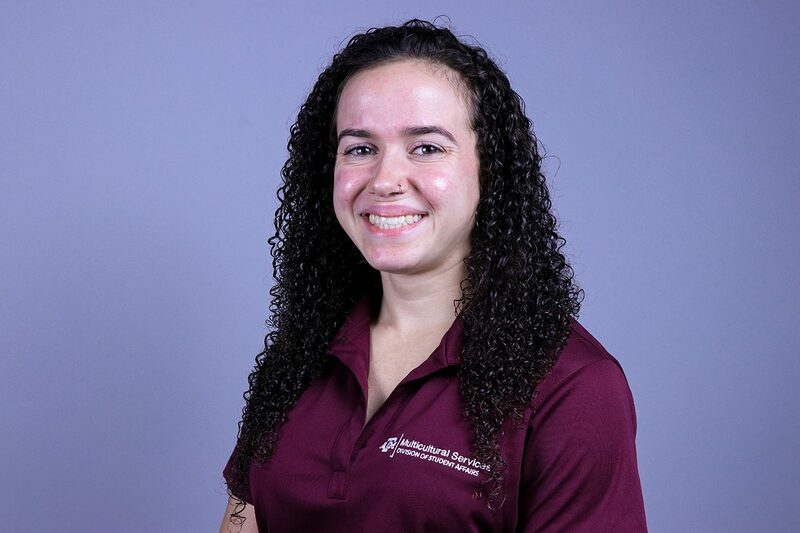 Marisa Suhm is currently the Assistant Director of the Department of Multicultural Services at Texas A&M University. She coordinates the Diversity Education initiatives for the Department. Dr. Suhm received a Law degree in Colombia, a Master’s degree in International Legal Studies from NYU and a Doctorate Degree in International Education and Development from the University of Massachusetts. Dr. Suhm has worked as professor in the States and overseas in the areas of International Law, Multiculturalism, Social Justice and Language and Literature. She has worked with development and educational organizations such as the Peace Corps, USAID, UNICEF, in more than 25 countries. She speaks five languages. In her free time, she teaches remedial English to non-native speakers in the university and the community. She likes hiking, swimming, reading and playing trivia and board games. She writes children’s stories and short essays. She is a proud Aggie mom. I have worked with development and educational organizations such as the Peace Corps, USAID, UNICEF, in more than 25 countries and I am a proud Aggie mom. Cruz is from the Rio Grande Valley, Palmview, TX, completed a B.A. degree in Communication-Journalism from The University of Texas Pan American in Edinburg, TX (2008) and an M.S. in Higher Education Administration from Texas A&M University (2011). His involvement in student organizations, leadership and residence life in his undergraduate education sparked his interests to work with student groups as a professional. His continued education solidified his passion for students and their development and the importance of diversity and social justice initiatives. He has been with the department since 2009 and feels fortunate to work with a team of professionals that have the best interests of students in mind. He is also excited to help students reach their potential in their endeavors. At the Department of Multicultural Services (DMS) his initiatives are focused in the Hispanic/Latino student population and other underrepresented populations. He currently advises the Hispanic Presidents’ Council (HPC), Latino Males United (LMU). Outside of the DMS, Cruz likes to get connected in the community through several organizations and attends community events. He is happily married and has two cats and a dog (Stumpy, Alice & Heidi). He enjoys game nights, painting, jogging, and occasionally watches reality TV shows. I feel fortunate to work with a team of professionals that have the best interests of students in mind. I am also excited to help students reach their potential in their endeavors. Mark Dawson was born and raised in San Diego, CA. Mark currently holds a Bachelor of Arts in Social Science from San Diego State University. 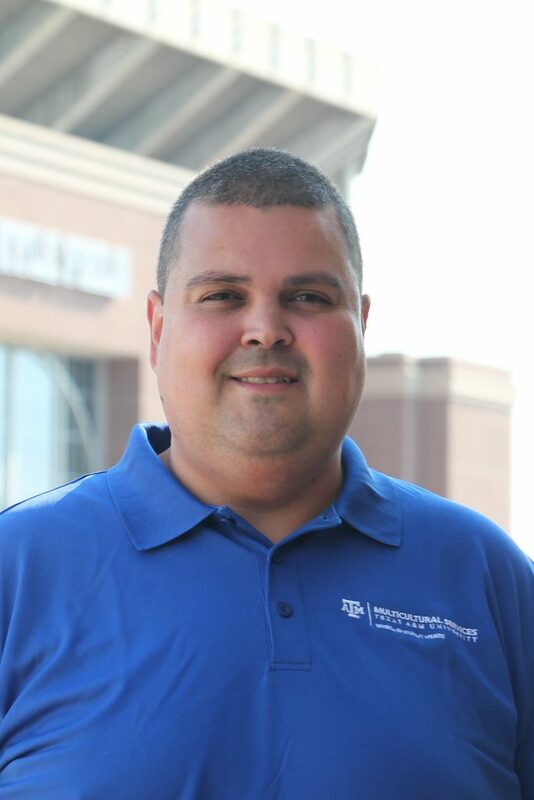 He Moved to Aggieland in the fall of 2010 to begin the doctoral program in the Department of Sociology here at Texas A&M. His main research areas are Race, Class, Gender and Sociology of Education. Outside of work Mark enjoys watching Aggie football and is a long time Oakland Raiders fan. He also loves cooking and spending quality time with family and friends. I am excited to be a part of the DMS family. I look forward to working closely with students to help them achieve their academic and individual goals. I facilitate the CLUES learning community program, Cultural Exploration Experiences, and I am a member of the Diversity Education Team. Erika is Diversity Educational Specialist and joined the DMS office in August of 2018. She attended the University of Texas as an undergraduate student (B.A. Anthropology) and the University of Texas San Antonio as a graduate student (M.Ed. : Higher Education Policy). She served as Diversity Educator at the University of Texas San Antonio and the University of Houston Clear Lake before joining Aggieland. Erika’s professional interests including developing students’ diversity competencies and equipping them with the tools needed to navigate important diversity dialogue in both group settings or one-on-one. She also keeps mentorship and student development at the forefront of her work and believes in preparing students for their lives after college. Outside of work, Erika enjoys the gym, time with family, coffee, cooking, traveling, and is an avid podcaster. I am most excited about mentoring and developing A&M students in the areas of diversity and inclusion through meaningful dialogue. At the heart of this, I like witnessing how students grow as learners and how they then positively impact their community. Angela is from Plainview, NY. She completed a B.S. degree in Psychology from Long Island University Post Campus (LIU Post) in Brookville, NY (2013) and an M.S. in Education Administration from Texas A&M University (2015). Her involvement in student organizations and leadership in orientation during her undergraduate education sparked her interests to work in Higher Education as a professional. Her continued education solidified her passion to work with students who possess historically marginalized social identities and to aid them in their college careers. She worked in the Department of Residence Life at Texas A&M University for 4 years and then moved to the Department of Multicultural Services (DMS) in September of 2017. At the Department of Multicultural Services, her initiatives are focused in the diversity education area. She currently oversees Cultural Explorations, CommUnity Conversations, Community of Respect, presents workshops to student groups, and co-teaches the C.L.U.E.S. class. Angela is thrilled to work with inclusion, diversity, and equity initiatives, areas that she cares about incredibly. Outside of the DMS, Angela likes to get connected in the community through several organizations and attends community events. She is happily married and has one dog named Popeye. She enjoys hiking, scuba diving, traveling, and baking. I believe that experiential learning is essential in facilitating the learning process of students. I engage with students as my authentic self to provide a non-judgmental space for students to share their experiences and thoughts. I strive to help students formulate meaning of issues and the world based on their personal thoughts and opinions. It is important for them to construct and develop who they are as individuals. My principal goal is to help students engage with others who are different from them and appreciate those differences. Kimberly Heslip is a native of Caldwell, TX, currently residing in Bryan. 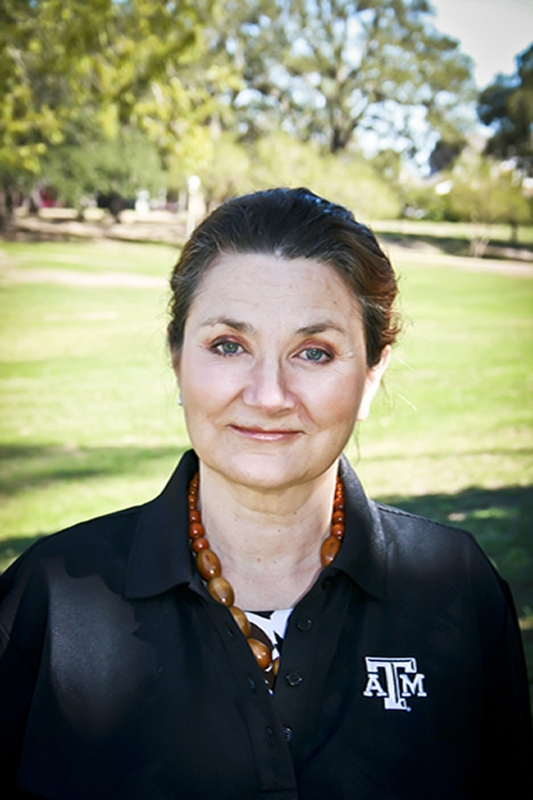 She has been employed with Texas A&M University for the past 8 years with the College of Engineering and College of Education and Human Development. Due to her passion for working on the front line with students, she has recently assumed a position within the Division of Student Affairs as a Business Coordinator in the Dept. of Multicultural Services. Due to my passion for working on the front line with students, I have recently assumed a position within the Division of Student Affairs as a Business Coordinator. Varselles (Var) Cummings joined the department in February 2015. Var hails from Fresno, California. He earned his B.A. in Mass Media Communication from Wilberforce University. Wilberforce is the first privately founded historically black college in the nation located in Wilberforce, Ohio. While at Wilberforce University he was involved in several co-curricular and extracurricular activities. He was involved in everything from SGA to Residence Life to Choir. His undergraduate involvement sparked his interest in the field of Student Affairs. After his graduation in 2008, Varselles stayed at his alma mater and worked as an Admissions Counselor for two years. In 2012 Var received his Master’s degree in Postsecondary Educational Leadership with a specialization in Student Affairs from San Diego State University (SDSU). While at SDSU he worked in the Resident Education Office at San Diego State as an Assistant Residence Hall Coordinator. He also served as the Graduate Advisor for the Afrikan Student Union. Most recently he came from Texas Christian University where he served as a Hall Director from 2012-2015. 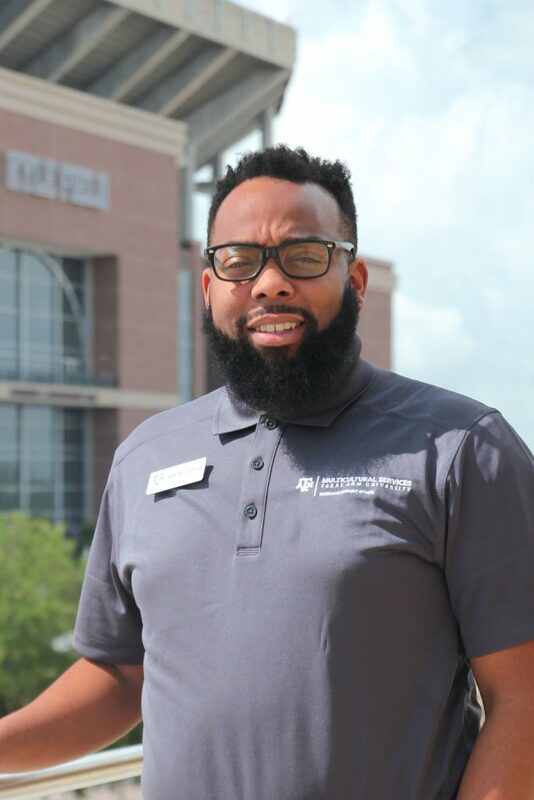 Varselles currently serves as a Program Advisor in the Department of Multicultural Services where he advises Aggie Black Male Connection (ABMC), Black Student Alliance Council (BSAC), and Southwest Black Student Leadership Conference (SBSLC). He is very excited to be a part of the DMS staff and is looking forward to developing leaders for a multicultural world. I currently advise Aggie Black Male Connection (ABMC), Black Student Alliance Council (BSAC), and Southwest Black Student Leadership Conference (SBSLC). I am very excited to be a part of the DMS staff and look forward to developing leaders for a multicultural world. Justin was born and raised in Houston, TX. He graduated from Stephen F. Austin State University with a B.A. in journalism and secondary education. Justin has over seven years of writing and marketing experience. 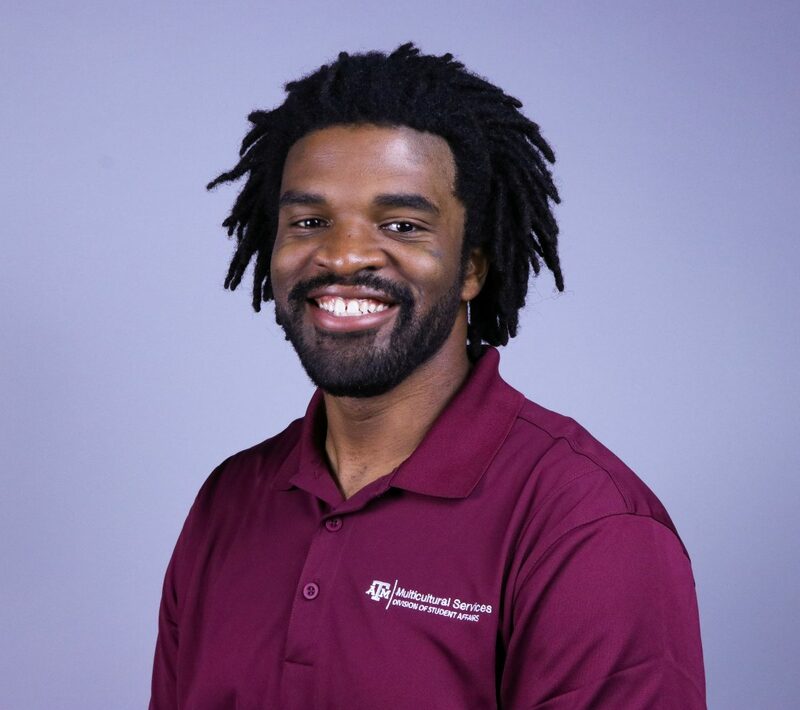 He’s worked at Texas A&M University since 2015, previously with the communications team in the College of Education and Human Development. He currently oversees marketing material for the department including news, print, social media and web. In his free time, Justin enjoys playing music, writing, cooking, traveling and spending time with his wife, daughter and two dogs. I come from a very diverse background and believe strongly in community, character and individualism. I am here to tell the story of our students — one that is a unique collection of experiences that separates Texas A&M from other institutions. I want to do so by creating engaging and relatable content. Born and raised in the Lone Star State of Texas, Lisa spent eight years living in Houston before moving to Chennai, India. She moved back to Texas in 2013 to attend Texas A&M University, where she fell in love with working with students. 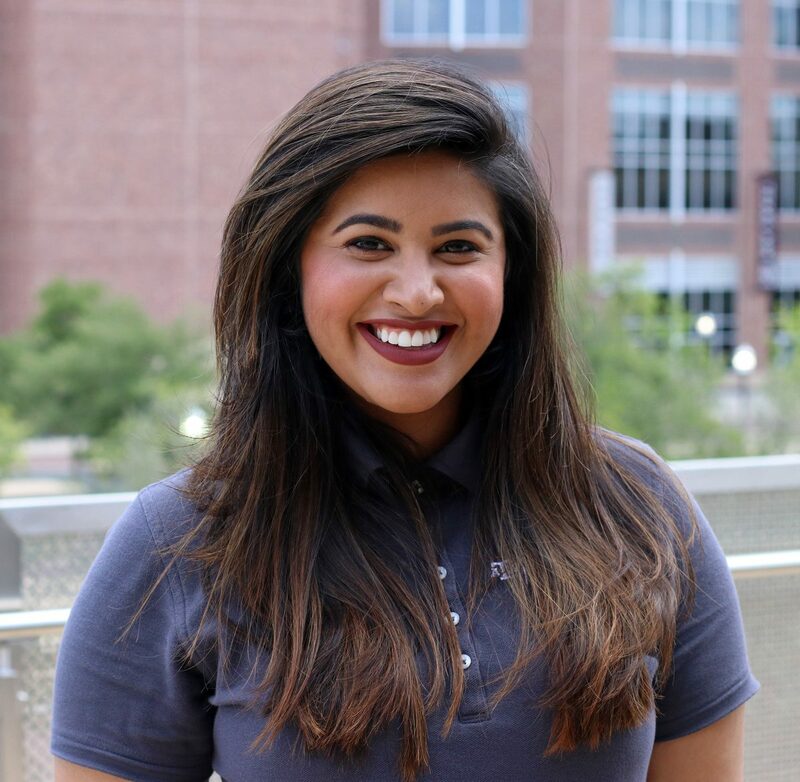 After spending all four years of her undergraduate career involved with Texas A&M University’s first-year extended orientation program known as Fish Camp, as well as several other leadership programs on campus, she realized that her passion in life was to help transition students into college, encourage students to be their authentic selves, and leave her mark on the Texas A&M community. After graduating from Texas A&M in 2017 with a Bachelor of Science in Psychology with a minor in Sociology, she chose to continue her education in Aggieland and is currently a second-year graduate student pursuing a Master of Science in Student Affairs Administration in Higher Education. During her graduate career, she also serves as the Graduate Assistant in the Department of Multicultural Services, helping put on Fusion Fiesta in the fall and the Student Success Banquet in the spring. While not in class or at work, Lisa loves spending time and traveling with friends and family, and dedicating hours of her day behind a controller playing video games. Working with students has been a passion of mine since my freshman year of college, and I am so glad to be fulfilling this passion in a department where I feel so loved, supported, and encouraged. The Department of Multicultural Services has embraced me for who I am, and the people I meet every single day in the office motivate me to be the best version of myself. I have loved my time in the DMS, and cannot wait to spend another year doing what I love surrounded by amazing student leaders and professionals. Abigail (Abby) Sharer is a peer diversity education graduate assistant from New Jersey, and uses she/her/hers pronouns. She grew up in a biracial family and identifies as gay, and credits her mom with for fostering an early interest in identity and intersectionality. She moved to Texas in 2018, after graduating with BAs in Spanish and psychology from Carleton College, to begin a PhD in counseling psychology at Texas A&M. Upon graduation, she hopes to work as a bilingual psychologist. 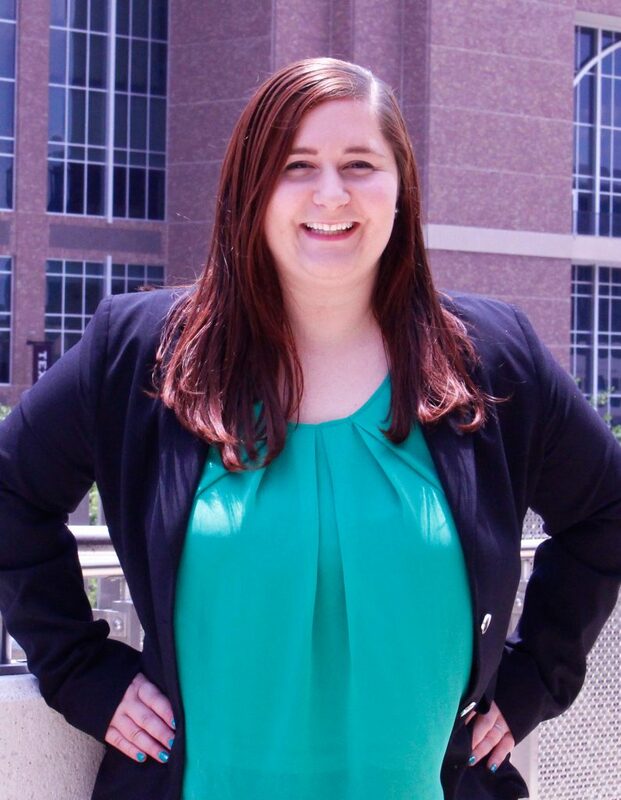 Abby works with Aggies to Aggies (A2A) and is passionate about promoting equity and inclusion, education, and having impactful, critical conversations with A&M students. When not in class or in the office she enjoys biking, baking, and basking in the sun, especially after four years of Minnesota winters. I am humbled and excited to work within the Department of Multicultural Services! I’m looking forward to building on knowledge gained during undergrad, and helping A&M students have constructive dialogue and learn about issues impacting life on campus, in the United States, and around the world. The community in the DMS helps me to be my most authentic self, and I look forward to promoting growth and change in others and within myself. Patrick Patraca serves as the Latino Initiatives Intern for the department. 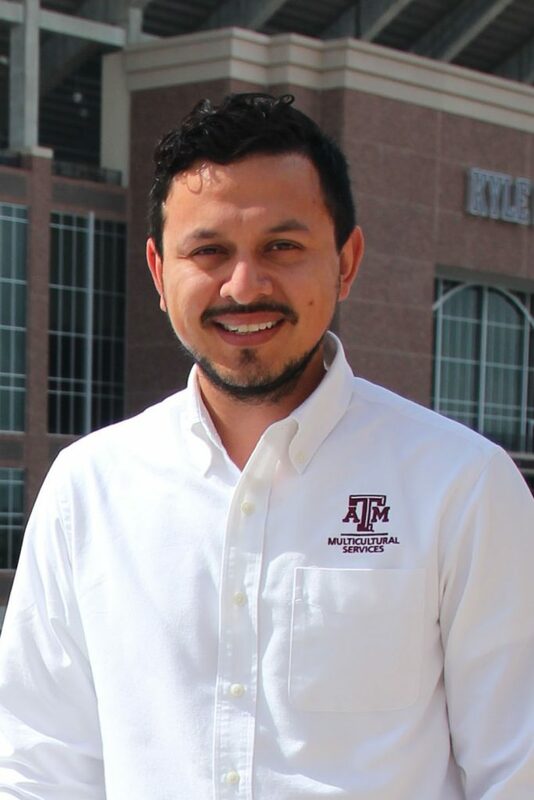 Patrick, along with his advisor Cruz Rios, has been working to start the Latino Logradores (LatiLo) program in order to further serve the incoming freshman Latino population here at Texas A&M University. Patrick is currently serving in his final year here at Texas A&M University. He is an undergraduate pursuing a degree in agricultural business. 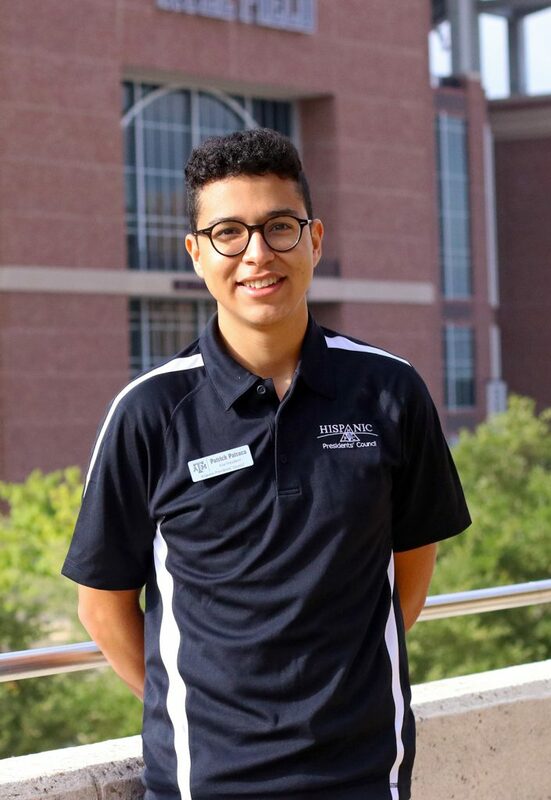 Aside from his role with the Latino Logradores program, Patrick also serves as the vice-president for the Hispanic Presidents’ Council (HPC) and is a mentor for the Latino Males United (LMU) program. In his free time, Patrick enjoys watching and keeping up with basketball, spending quality time with friends, and relaxing in whatever way he can. I am a first-generation Hispanic college student. Everything that I have today is due in part because of the people that have cared enough about me to invest their time, energy, resources, or money into me. I am grateful for all the love and support, and for that reason, I am always willing to help in whatever way I can.